Steigenberger Makadi is an adult-only 5-star hotel offering luxurious amenities to its guests. This is the best place to be if you are looking for a scintillating spa & wellness center. 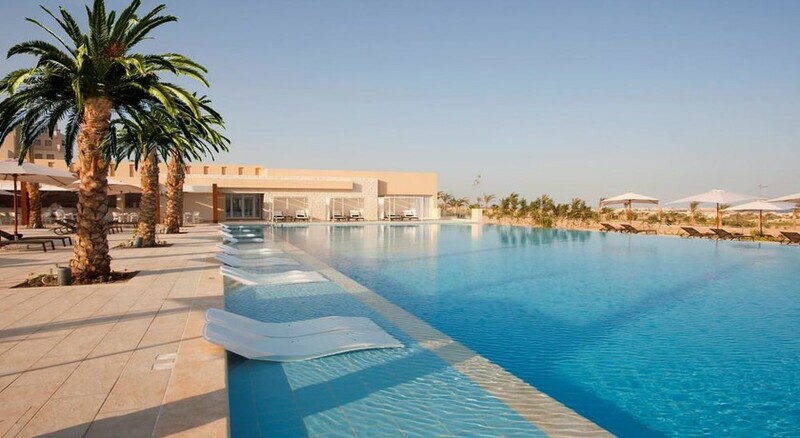 The best aspect about the hotel is the lovely swimming pool, where the guests can take a relaxing swim under the sun. Those who want to maintain their fitness level can take advantage of the fitness center. There are plenty of dining and drinking options within the hotel that will surely satisfy your taste buds. 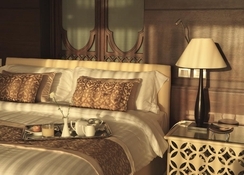 The rooms in the hotel are cozy and they come with luxurious amenities. All these facilities will surely delight and excite the guests. The hotel features an 18-hole championship golf course, a 9-hole executive course, a driving range and an academy. The Steigenberger Makadi is conveniently situated in Makadi Bay. The beach is only a few hundred metres from the complex. There are several restaurants, bars and shopping complexes close to the hotel. The Hurghada International Airport is 31.5km from the hotel. All the guest rooms at the Steigenberger Makadi come with uniquely designed interior. 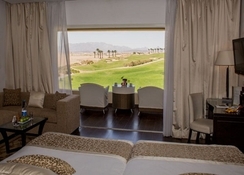 The 83 rooms and 10 executive suites provide spectacular views of the golf course. 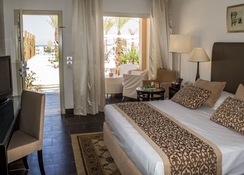 They fall in three categories namely Superior room with a view of the golf course, Superior room with a view of the bay or pool and Executive suite. The rooms comprise the following amenities: terrace or balcony, view of the bay or the golf course, queen-size bed, generous bathroom with two washbasins, shower, bathtub, separate WC, hair-dryer, whirlpool, Wi-Fi, satellite TV, telephone and safe. The hotel houses plenty of restaurants allowing guests to savour their taste buds. Some of the restaurants in the hotel include Sofra, Le Grill, Makadi Tukai, “nino’s” restaurant, “the beach” restaurant, Amaya and “Aqua Restaurant & Bar (located in “Jaz Makadina”). Bogey Bar and Nineteen Bar provide alcoholic and non-alcoholic beverages. 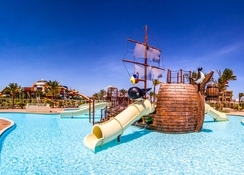 At Steigenberger Makadi, you can take advantage of plenty of sports, entertainment and leisure facilities. There is a lovely swimming pool with pergola and a relaxation pool. Other facilities include spa, fitness area, shuttle service and much more. Guests can tee off in style at the hotel’s 18-hole championship golf course and 9-hole executive course. Or practice their swing at the driving range.